To promote its new mobile security software, Norton is presenting seven fictional characters, letting the public hack into those people’s phones and access texts, e-mails, pictures and bank statements. Leo Burnett Chicago, the agency behind this great idea, has developed a creative multi-screen experience: It all starts by going to enjoyyourprivacy.com on desktop then mobile, enter the pin given on the desktop to synchronise and at that moment the story starts and keeps rolling on desktop while character selection and phone hacking is done through the mobile device. 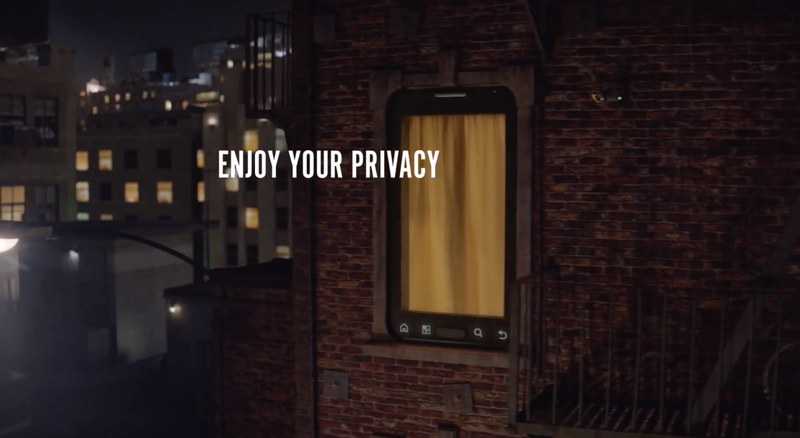 This campaign’s main purpose is to push sales of Norton’s mobile security software by raising awareness about the importance of digital data privacy. It is first a great way of engaging the target market and second, an efficient experience to open the public’s eyes on rising mobile privacy issues. I admit that after trying the experience with one character I directly went to know more about the software/app they are promoting. Click here to enjoy the experience! Norton’s product offers many features to protect smartphones’ content, prevent device usage if lost or stolen and fight malware. Privacy is a very hot issue in today’s world and many smartphone manufacturers are trying to offer a maximum of protection features in their smartphones. For instance, most of the features offered by Norton’s mobile security software exist are available through “Find iPhone” in Apple’s iOS 7. So, are you willing to pay an annual subscription fee starting $29 for this software? Previous Post BLAZE: A Laserlight For Safer Bicycle Rides!